Searching for Walk-In Coolers that are 100% American made? 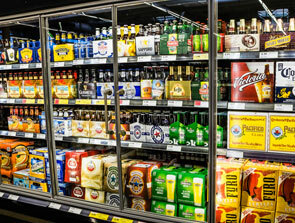 SRC Refrigeration designs and manufactures the highest quality beer caves, restaurant coolers, food service coolers, floral coolers, funeral coolers, combo units, and industrial coolers of all shapes and sizes. We are the number one choice for contractors and re-sellers. Our coolers exceed EISA standards, and we pride ourselves on offering same-day quotes. From cold rooms and walk-in coolers to walk-in freezers and everything in between, SRC Refrigeration handles it all! 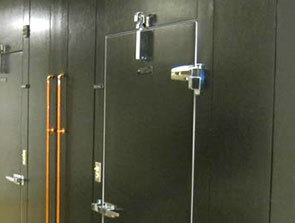 If you need a walk-in cooler, walk-in freezer, beverage cooler, reach-in, or ANY style cooler/freezer, give us a call. You won't be disappointed. We guarantee it. With SRC, you'll get the best value in the industry for high quality, custom built refrigeration units. Along with our guaranteed best prices, we back our products with our exclusive "all inclusive warranty" that includes a 50-year Thermal Warranty. Most important, we design and build everything in-house using 100% American made parts. Our commercial coolers and freezers are all inclusive; you'll get a fully built, solid, one piece industrial cooler built to spec, ready to install, and shipped in one box. We have an outstanding customer service team that will answer all of your questions and monitor your order from start to build and delivery. At SRC, we focus on delivering reliable, custom built medium-temperature and low-temperature systems, and we can design the perfect refrigeration system for your indoor or outdoor application. Every walk-in freezer we manufacture includes at least four inches of solid-core XPS insulation, so you can be sure the energy you expend on cooling isn't wasted. As the leader in high efficiency, commercial walk in freezers, we pay attention to the details that make installing your custom refrigeration unit easy. But if there is ever a question during the process, please call us. Our technicians can answer any questions you may have.